Hosted 4 episodes of the Thriving Filmmaker Show to 312 participants from 20+ countries (including the U.S., South Africa, Mexico, Spain, India, the Philippines, the UK, Hungry, France, Sweden, Germany, Australia, Argentina, Colombia, Kenya, Jordan, Brazil, Pakistan, Serbia, Denmark, and others). I am filled with gratitude to the Thriving Filmmaker community (now nearly 500 strong), each filmmakers who's graciously shared their work with me--thank you for allowing me to be in community with you during the vulnerable creation process, and every organization I've had the heart-thumping joy of collaborating with--thank you for trusting me and my work to strengthen your mission, and the individuals and organizations I've engaged with--thank you for taking the time to watch and engage with the powerful stories we've brought you and seeing how they can help change hearts, minds, and structures in our shared pursuit of creating a more just world. Each day for the past year I've written down a short reflection or memory in my 5 year memory book. "Pursue your passion and pursue it well." Pursue your passion is a common statement. But it's the second part--pursue it well--that's often overlooked. Ask yourself: Are you pursing your passion well? What does that mean to you? I believe, it's not enough to just 'want make a feature doc' or 'make a film and then just see what happens.' To thrive, you must focus on the journey and not just the destination, the act of creation and not just the finished product, the reactions during screenings not just the reviews and awards. Ask yourself: Where do you find joy in the pursuit of your passion? Posted July 2018 "July 2, 2014. [4 years ago.] On this day. Four years ago. We had no clue how it would be perceived. If folks would like it. We just loved it every day and tried our VERY best in EVERY single moment. That's all you can do with whatever you've set your mind to. Love it. Be in love with it. And then give it your best. That's the makings of a good life. The rest is what it is. Because nothing will ever be as good as the experience of making it, if you make that experience golden. So, just focus and enjoy. Nothing better. xo"
Ask yourself: How do you celebrate and document pursuing your passion well? I wish for you to find joy in pursing your passion well, and to celebrate that pursuit in and of itself. 1) What does pursing your passion mean to you? 2) How do you celebrate and document pursing your passion well? "Daríamos la vida por contar esta historia." // "We would give our life to tell this story." Wow. This was heavy, and so was his work. His film, Flores de la Noche // Flowers of the Night, is about trans youth finding freedom and friendship, and quite literally, fighting for their lives to just exist. It is a heavy and virtuous task to create from a place of deep emotional truth. Not all stories are this high risk and personal. But I believe that the greatest storytelling comes from a deep place of emotional truth. Getting to that place takes surrender, trust, and vulnerability. Making art is about surrendering, distribution and sustainability are about control. Do what causes a revolution in your heart, and you will work out the rest. We’re here to help you with the impact production and sustainability part. I just wanted to remind filmmakers that it's okay to surrender, be vulnerable in your storytelling, and trust your work. You probably use Google Sheets (or some spreadsheet) to keep track of festivals you’ve applied to, potential impact partners, applications you plan to submit, and everything else you’re trying to keep track of for your film’s impact distribution. But there’s a better way! It’s the difference between editing by hand — where cutting footage required actual scissors — and editing on a computer — with a simple shortcut. Meet Airtable! It has the look, feel, and flexibility of a spreadsheet, but is actually a relational database so has the functionality of a CRM (client relationship management system) that most mid to large sized businesses and nonprofits use to track relationships. Below are opportunities, which (unlike in a spreadsheet) can be linked together with contacts, organizations, and interactions. You can even attach files directly into it, even from your phone. #gamechanger! Is it free? Yes, up to 1,200 records/rows and 2 GB. We use these for every film and have never needed to upgrade. If no image appears below, click here. Want to try the template above for your film? Share it with a film friend who’s feeling overwhelmed by impact distribution. Pro tip: Download the phone app here and play with attaching photos to the “Interactions” tab. Click here to like on Facebook. Children are often characterized as helplessly subject to circumstances beyond their control. Documentary films about children don’t often go beyond empathy, especially when the children are orphans in southern Africa. But, that is the magic of Liyana, a hybrid animated-verité documentary film rooted in dignity and a spectacular respect for childhood. Liyana is uniquely crafted at the intersection of innovative art and graceful social impact. It elegantly weaves together imagination and reality. As the film unfolded, I realized that I was watching a rare and brilliant moment when, against all odds, a child's powerless vulnerability blooms into boundless self-determination and they become self-aware masters of their own journey. With the help of a storyteller and facilitator, Gcina Mhlophe, the children work together to design a character from their imagination and name her Liyana. They craft an epic journey for Liyana — deciding her circumstances, her suffering, her joy, her family — all the while, unconsciously filtering their own personal stories into hers. The film dances between Liyana’s animated odyssey to save her twin brothers, and verité moments and interviews of the children’s day-to-day reality in an orphanage. It’s an ode to the therapeutic power of personal storytelling as an impactful tool that changes the course of one's identity, choices, and thus, our world. The filmmakers cleverly merged the cinematic animation of Liyana’s story with the children’s narration and personal reflections. Almost the entire film is told by children themselves -- you rarely hear an adult speak. As a former elementary school teacher, I loved this because it gave them the voice and agency that’s often left out of their own narratives. It also pushes the boundaries of self determination in film. said Aaron Kopp, the co-director with Amanda Kopp. "[The childrens'] response to the film was the main thing for us." They flew the kids to the world premiere at the L.A. Film Festival, where it won the Grand Jury Award for Best Documentary. They also established a college fund for the kids, and hope to create a graphic novel of Liyana’s journey. "I decide how my story ends." "As an African in a world that fetishizes our suffering and paints us with a single brush, the way the story is told makes me feel respected, seen and heard." That is the most profound impact a documentary film can have, enabling you to feel seen and proud of who you are. It was a thrill to teach my "Thriving Filmmaker" playshop at Good Pitch Miami 2017! Good Pitch is AMAZING, sincere, and welcoming about supporting filmmakers, so it was a joy to bring this to Good Pitch Miami filmmakers. And, with only 22% of documentary professionals able to make a living from filmmaking, it's a crisis in our industry that's becoming increasingly important as distribution channels evolve. So the transparent conversation and concrete tools in the playshop are were eagerly welcome. All of it! Your welcoming energy was wonderful. It was perfect to me! It was exciting, thanks a lot! It would be great to have a link or info to share about the workshop. I think many people would be interested. How satisfied were you on a scale of 1 to 10? I was quietly sobbing uncontrollably -- vision blurry from heavy tears, a softball-size lump swelling in my throat. All the feels. The person beside me could surely hear that I needed a tissue. It was at that tear-drenched moment a few years ago that I vowed to make documentary films like this, someday. Films that could move someone as deeply as I -- and others in that theater -- were moved; films that could make you feel empathy with the people whose stories they tell and thus “change the world”. I’ve since worked on films like this, sat through several tear-jerking documentaries at film festivals, and continue to be in awe of how someone can feel so much empathy for a stranger’s story told through a flickering light. However, I’ve since begun to question the role of empathy in documentary film. To be clear, I’m specifically referring to documentary films that seek to expose a problem in our society through the suffering, challenges, and obstacles of someone’s suffering in order to elicit empathy. Although I can understand the argument that film is a great empathy machine, I also can see how it does the opposite: elicit pity and shame. Often the filmmaker hopes that empathy will be felt by ‘the powers that be’ and the powerful will empathize with the powerless suffering subjects/characters, to the point where the powerful decision maker will alleviate the suffering of that character’s social group through changing laws and/or public policy that impact that social group. In other words, a powerful politician will help the poor stop being poor because they saw a documentary about it. Although this is an altruistic and noble endeavor, the foundational premise behind this assumes that influence and power are top down -- and that the decision makers ‘in power’ are the nucleus of influence. In other words, imagine you’re a stereotypically powerful individual (say a middle-aged educated upper-class male living in a G8 country -- like Roger Ebert for example) and you get to walk in someone else’s shoes for two hours. You can then go back to your safe and comfortable life, write about it, and talk to your friends over coffee on a Monday afternoon about it. In the best case scenario, you feel heart-warming empathy and donate to a cause or even influence top-down policy. Let’s zoom out for a second and flip this assumption: What’s the other side of the coin? This begs the question: How does documenting and exposing the most intimate and vulnerable moments serve those who are impoverished, disenfranchised, and already often stereotyped in this way? For “them” to feel empathy for their own story? In other words, who are these stories serving? Not who are they ‘saving’ but who are they ‘serving’? As a filmmaker, how do you answer: Who am I making this for? So, at some point in my teens I stopped listening, watching, and engaging with the stories that told me I would not, could not, and don’t deserve to, and only engaged with those that affirmed I would and could be an ambitious, engaged, and successful individual in light of my identity. “If we look at the literature [or films] based on fieldwork [or verite] in the United States, we find relatively abundant literature on the poor, the ethnic groups, the disadvantaged; this is comparatively little field research [or verite films] on the middle class, and very little first hand work on the upper classes. … What if in reinventing anthropology [or documentary filmmaking], anthropologists [or filmmakers] were to study the colonizers rather than the colonized, the culture of power rather than the culture of the powerless, the culture of affluence rather than the culture of poverty? Why not study up more? Why not make more films intended for the stereotypically disadvantaged to empathize with the stereotypically affluent/elite/privileged? I believe the potential for impact with stories like this is unexplored for the most part and thus one of the strengths of documentary film is untapped -- to show you someone or something you’ve never seen before. I also think that it is often the things that are taken for granted by affluent communities that could have the most impact on those who doesn’t have access to them. For example, I remember watching TV as a kid, namely the Full House TV sitcom, and thinking, “Wow, their house has two floors.” The 90’s kid in me now knows they were middle class, and having a two story house is a relatively unremarkable fact. But, nonetheless, it was a thing of awe and wonder to me because I didn’t know anyone who had a two story house. Having a two story house meant you were “rich.” “How could I access that world?” I would wonder. To put this another way, the current median household income in the U.S. is $56,516 (per year). (Citation: Census Data. HINC-01 Table: http://www.census.gov/data/tables/time-series/demo/income-poverty/cps-hinc.html) So, if your household (not you as an individual, but your household), makes more than that, then your household’s income is higher than 50% of American households. If you’re an individual making more than that, then you alone are making more than 50% of American households. You are also in the top 0.22% richest people in the world by income. (Citation: Globalrichlist: http://www.globalrichlist.com) It would take the average laborer in Indonesia 76 years to earn the same amount. Rather than making a film about the poverty of a labourer in Indonesia for the top 0.22% richest people in the world for them to empathize with the labourer, I personally am more interested in making a film about the Indonesian elite for the labourer to have access to that world and hopefully be empowered and inspired to pursue access to their own agency by that access. To put it another way, if documentary films were like a cooking show, then are they showing people the burnt cake that no one wants to eat or the three-tier delicious cake everyone wants to eat -- which do you want people to be making? A film can help people save other people via empathy. A film can help people become self-empowered via access and agency. 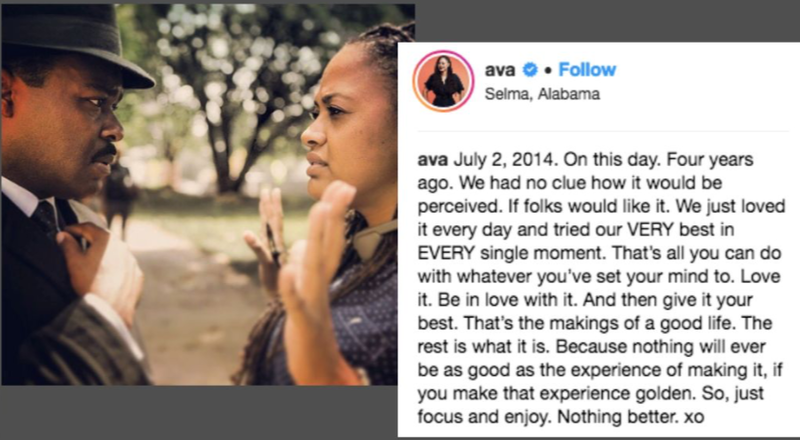 This is why my own work in film production and impact producing focuses on stories that expand a viewer’s notion of what’s possible -- like a doctor who is also a hip-hop choreographer or people who were living paycheck to paycheck and are now personal finance experts (both films I’m currently working on). I seek to amplify and tell stories that create access and impact into worlds of affluence that may be taken for granted (even if that’s just middle-class affluence); stories that unexpectedly study up and open the doors to self-determination and agency. I like to include the subjects/characters in the filmmaking process and show them cuts along the way; I try to tell the story with them, not for them. James' film, The Interrupters (in which former gang members organize to take actions in their community against violence) does this. It celebrates agency, by giving both the viewers and the viewed a story of self-determination and agency. A message of the film is: you do not have to wait on the ‘powers that be’, rather ‘you are the power that is’ and thus have the capacity to change your community for the better. It shows how the stereotypically powerless already have power. After all, there isn’t really a “powers that be”, because, you -- by virtue of your humanity -- is the power that already is. Life Itself also gives access to this world. By telling the story of Roger Ebert, the viewer has access to how he created a life of affluence -- because, after all, it is a luxury to pursue one’s creative passions as a means of making a decent living. My favorite part of filmmaking is watching people watch the story. This is a photo of the audience watching my film at the first international film festival I was selected for. These reflections and experience have led me to the magical world of impact producing -- where I help social issue documentary films create an impact in the world through audience engagement, strategic distribution, and strategic partnerships. I encourage us, as filmmakers, to consider stories that “study up,” and to also tell stories with, rather than, for your subject/character. Why do you want to share your story? Why are you participating in this? What impact do you hope your story will have?